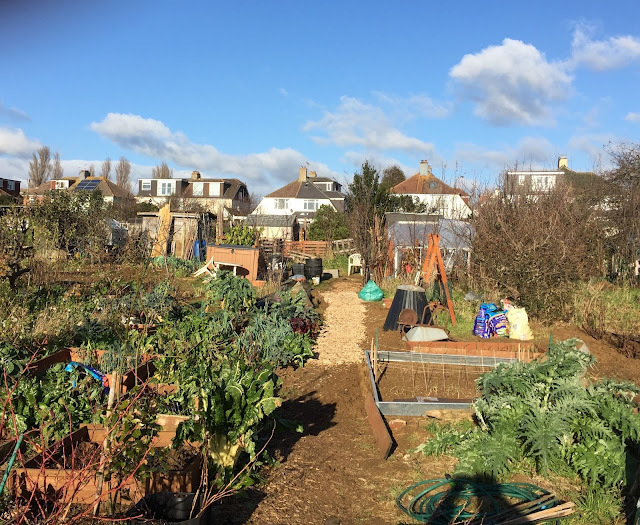 We have continued to enjoy the produce throughout December - leeks, cavolo nero and chard; and towards the end of the month we harvested the Brussels sprouts and some of the Savoy cabbage and lifted the last beetroots and the last parsnip. Fortunately, my daughter, Zoë, was on hand again to assist with the lifting of the parsnips. In November we had begun repairing the path following the delivery of a supply of wood chips. We also cleared the bed at the front of the allotment, where we had planted bulbs last year, and which had become overgrown with weeds and we have covered it with a mulch of woodchips and bark. Hopefully this will suppress the weeds but allow the spring bulbs to come through. 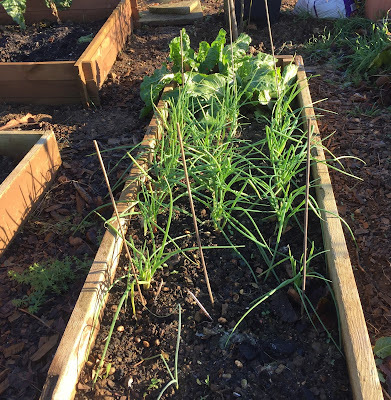 There was also some self seeded chard in this bed which we have left as it is still producing new growth and has not yet gone to seed. Here is some of the chard which we harvested just before Christmas. Our cavolo nero is still producing fresh growth and we have managed to harvest quite a lot during December. Sadly, those sown in early December have not fared so well and appear to have been dug up and eaten. Where have all the broad beans gone? 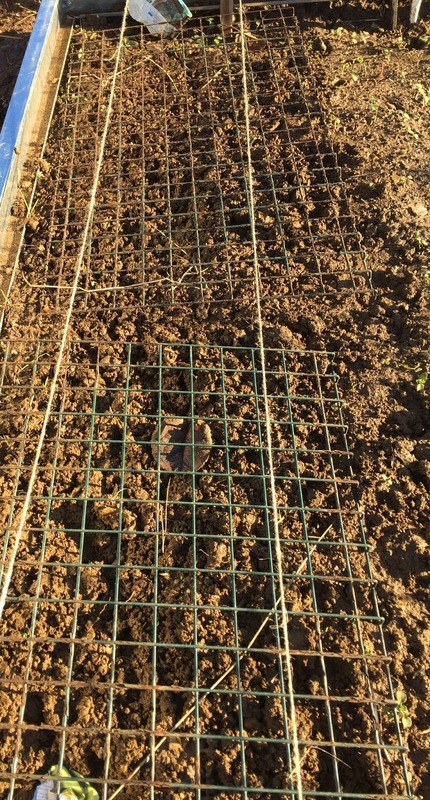 But not to be deterred, I have sown some more and this time have covered the ground with mesh in an attempt to deter predators! Time will tell whether this will be successful. 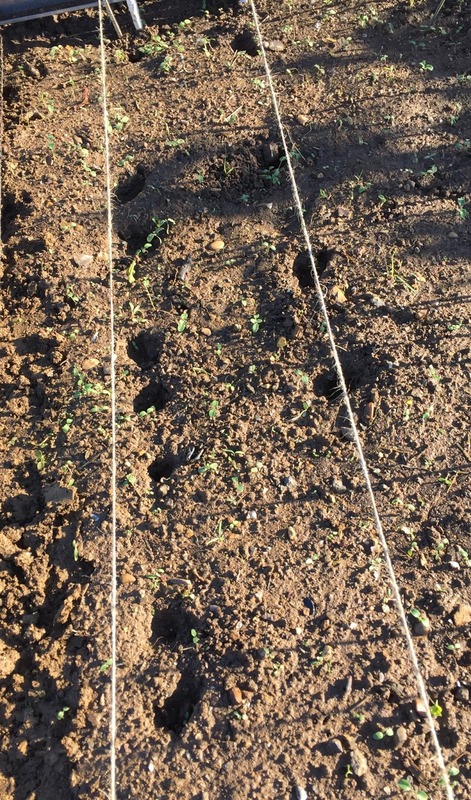 We have had so much rain in December that it has been difficult to do much work with the waterlogged ground but our three wormeries are flourishing and the worms producing vast quantities of liquid feed, high in nitrogen which is perhaps why the brassicas have done so well. And the worms will be well fed with all the Christmas organic waste. 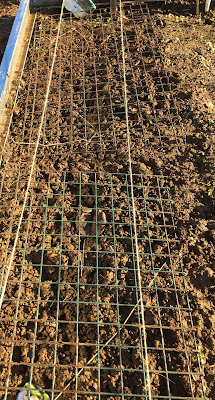 The wormeries are in layers and the bottom trays are now almost ready for spreading on the raised beds - a task for January. Aided by Zoë, we lifted the last of the parsnips which, although large, had become forked which is an indicator of too rich a soil. Fortunately once the extra roots had been trimmed away the rest was sweet and each one produced at least six or seven servings! 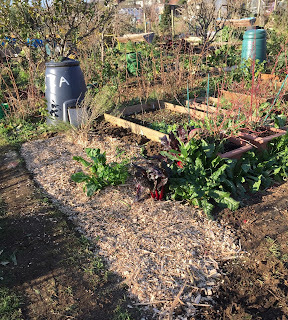 We also harvested the first of our Savoy cabbages, as well as leeks, the last of the beetroots and of course, as it was Christmas, the Brussels sprouts. Looking forward to a productive 2018!